The Wood Blinds collection is one of the most popular window cover that provides the beauty and warmth of wood into your homes. It can give an inviting look to any décor from traditional, Zen up to the modern home design. 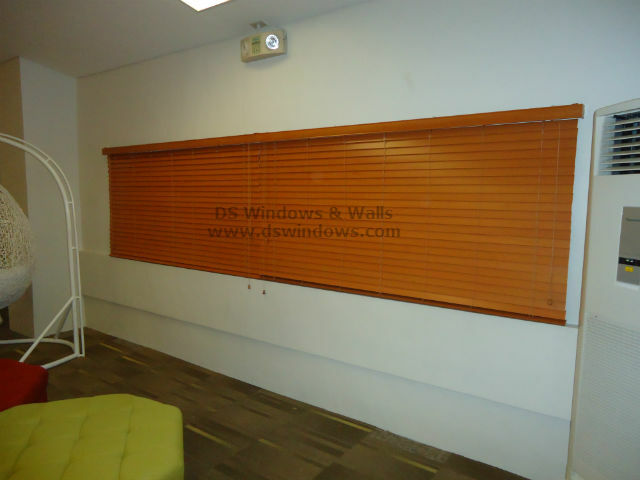 It’s suitable in every room of the house and even in any commercial establishment it is guaranteed to provide a stylish and sophisticated look because wooden blinds have a unique charm that can enhance any surroundings. Like our client in Parañaque City who opted for wood blind in their family room window cover that help to enhance their overall home design. Our client not only purchased wooden blinds from our company, but also ordered carpet tiles for the floor covering that beautifully match their window treatments and other furniture in their family room. Our client’s family room can easily be distinguished as contemporary design with the combination of colorful chair and unique style. Because of the different style and color of the chairs using complimentary color like the oak wooden blinds for window treatment, white wall paint and stylish brownish carpet tile for flooring make a gorgeous and stunning family room. A plain white wall that help to emphasize the different color present in the room, a classic and elegant wooden blinds that give a unique charm and sophisticated ambiance with a matching brown carpet tiles that provide class and superior appearance and lastly a colorful yet stylish chair fits perfectly that create a unique family area that our client adore the overall appearance. Wooden blinds itself is known for its elegant appearance and charming influence in the surrounding, but it can be enhanced more with the compatible wall, furniture and flooring design that can help to bring out its real beauty. Wood blinds are flexible in complementing different kind of room motif with its various colors available surely you can easily find the suitable choice for your room window treatment. For more inquiries please call us at (02) 893-1373 / (02) 403-3262 / 0916-311-3909 or visit our showroom at 2nd level Pacific Mall Lucena City, 3rd level Robinsons Metro East, Pasig City and 4th level Waltermart, Makati City. 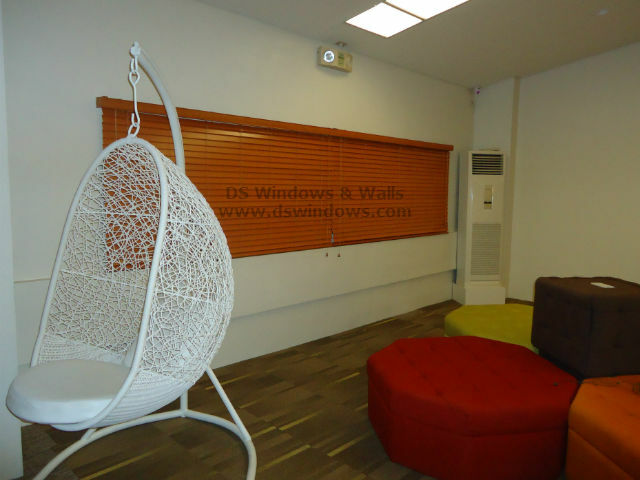 Previous articleRoller Blinds for Single Studio Type Pad – Tomas Morato, Q.C.